What are Fallen Arches & Flat feet? Feet are very variable in shape within and between ethnic groups as well as in populations generally. There is not a normal profile but a wide variation with people with foot profiles at the extremes being very high arched or very low arched, with most people somewhere nearer the middle. What will dictate the general profile of a foot is the bony shape and the soft tissue support. The first thing to say about flat feet and fallen arches is that they are not medical terms and therefore have different meaning to different people. Therefore this question is not as easy as it first might seem. Pes Planus is the medical term for flat feet. There are several types so I am going to assign some medical term to them to help you understand the difference; Anatomical and Acquired Pes Planus. Collapsing Pes Plano Valgus, Hypermobile Pes Planus and excessively Pronated feet. Pes Planus means flat foot. When the bones of the feet are pitched up around an inclination of 21° from the heel and therefore a matching declination of the metatarsal bones of 21°, the foot profile has a pretty average looking arch. Certain ethnic groups do have a lower average degree of inclination and declination, and there is some indication that the European foot of 21° a little abnormally high. However in a lot of people the bony angle is set much lower. This can be due to genetic or developmental factors, and is often due to a bit of both. Obese children often develop a low foot profile, but other people just have a very strong family history of low foot profiles. A low profile foot is not necessarily a problem. We call these feet anatomical pes planus, because it is just the bony profile of the foot, which cannot be changed. Many good athletes have anatomical pes planus, especially those with Africian heritage. Such anatomical flat feet are usually quite robust, have a little less movement in them overall and often feel more comfortable when walking on hard flat surfaces if a shoe with a 1cm plus heel lift is used, rather than totally flat shoes. Apart from advising that totally flat deck shoes are best avoided when on hard flat ground these feet generally don’t need any treatment. 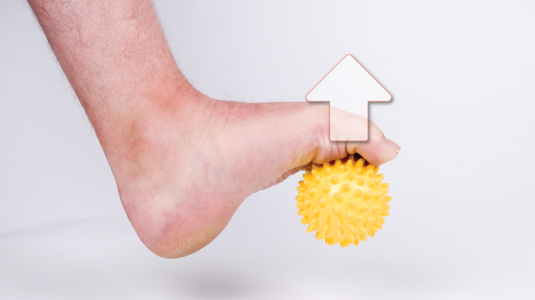 They can be prone to increased risk of big toe joint osteoarthritis so giving them a little extra exercise; such as the simple ball exercise or heel raise exercise shown below can keep anatomical flat feet in good condition and perhaps reduce the risk of big toe osteoarthritis. One of the sad facts of life is that all of us tend to loose a little arch height as we age. The reason for this is that the protein fibres that make up our soft tissue change. They become less elastic and start to creep. Most people find that over the years their shoe size increases a bit, and spread a little wider. This is not helped when we spend most of our time in shoes and on hard ground that tends to cause atrophy (wasting) of our arch muscles. Being obese also increases the risk of this. It is important to note that people with anatomical pes planus are also prone to this aging process, making their flat feet flatter, while high arch feet often become a little more normal in shape. This process will affect some people worse than others resulting in arch pains both under the foot from the soft tissue stretch and over the top of the foot from joint compression. The exercises recommended for anatomical flat feet can prove very useful, as will buying a good pair of strong lace up shoes with a small heel lift between 1cm and 5cm. For many people the best solution is to buy some simple insoles with good midfoot support, at least for periods of increased walking such as during the supermarket shopping or hiking. The HeelFixKit & HeelFixKit insoles are ideal for this problem. For some people this arch drop is a sign of a more serious type of acquired flat foot; collapsing pes plano valgus. In this type of flat feet the arches are dropping quite severely, and the problem is progressive. Untreated this foot will become totally flat and often stiff and prone to arthritis. Ironically it is often more painful during the collapse rather than at the end stage totally flat foot. However, the totally flat foot that results is often quite difficult to walk on and tiring. The reason for this is best explained by reading the Wheelbarrow foot article on (web page) linked to this web page. People with collapsing pes plano valgus tend to walk with their feet stuck out at an angle greater than 10°. Collapsing pes plano valgus results in too much dropping of the height of the midfoot with a disproportionate drop in the height on the inside of the foot. This tends to cause the foot to tip inwards as well as flatten. The outside edge of the forefoot often twists outwards and bunions (hallux abducto-valgus) are very common as part of the condition. Pain often occurs under the arch, top of the foot, inside of the ankle and just in front of the outside of the ankle. The most common condition that is linked to this condition is degeneration and partial or full rupture of a tendon that runs to the inside and just behind your ankle known as Tibial Posterior. This Tibialis Posterior Dysfunction is often cited as the cause of the collapsing foot profile, but it is still not clear whether it is the cause or an effect of the collapsing pes plano valgus, and it might vary in individuals. This foot problem needs professional advice. It can be treated conservatively, but even then such treatment the condition will severely restrict your footwear choice. Anti-pronating running shoes are very helpful to walk in, especially with custom supportive foot orthoses (insoles) and occasionally ankle braces. These need to be fitted professionally. 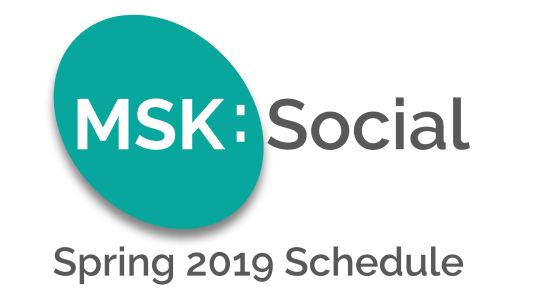 However, sometimes the only way forward is surgery, which although usually very effective is quite complex and takes a good six months to recover from. Hyper mobile flat feet are usually very normal looking when they are not weight bearing. With these feet as soon as you stand on them they flatten down a lot, with the soft tissues all across the arch seeming to touch the ground. This arch collapse and foot splay is due to the ligaments of the foot being too flexible and having reduced nerve endings in them that report joint position to the surrounding muscles. Without information from the nerves muscles don’t contract properly to hold the foot in a normal profile. Most people with this type of feet are often very flexible else where such as hands wrists elbows and knees although the joints affected is very variable. These people are commonly known as double jointed. Sadly there is little that can be done to rectify this. Children are particularly prone to this and some will tend to improve with age. Many people get no pain with these feet, but sadly a lot do. Strangely enough the strongest correlation with hyper mobility and pain in the feet is if you have a very flexible end joint in your fifth digit of your HAND! Yes your little pinkey! You can try and follow the advice given for anatomical and acquired flat feet, and using a soft arch supportive insole like the Pressure Perfect and Heelfixkit insole can be very helpful. Studies have shown there is no evidence to support the use of expensive custom orthoses and harder devices are generally found to be uncomfortable for this group. Sometimes a flat cushioning insole with just a little midfoot contour is the most comfortable solution, especially if you have a concurrent anatomical pes planus in conjunction with lax ligaments. Pronation is a term often used around the world of feet. It isn’t really a helpful term. It means to take up a prone position. It is usually applied to the arm where are ability to rotate our joints at the elbow allows us to twist our hands into a supine (palm up) or supine (palm down) poison. You will appreciate that the foot is always prone (plantar surface down) to the ground when we stand on our feet. However some feet are more prone than others, such as flat feet, in that the plantar surface makes more ground contact. As we walk our feet should go through phases where they are more prone and then less prone. Generally the foot should be most prone, i.e. lowest arch profile just as the heel lifts off the ground. Some people make their foot far more prone than they should, while others make their foot more prone at the wrong time. These people are referred to as over-pronators, excess pronators or hyper-pronators. The problem with hyper-pronation is it has never been officially defined and only one attempt to define it has ever been made which was by myself in a lecture presentation at a leading podiatry conference in 2004 in England. The problem is that different individuals and different activities require different amounts of pronation, so deciding how much is too much can be difficult. Essentially people who hyper-pronate have a normal foot profile when they are not weight bearing, but on standing and or when walking or sometimes just running, they make their foot roll inwards too much, cause their arch to flatten too much and their forefoot to splay too much. This is complicated by the fact some people will just do one or two of these movements too much rather than all of them! Hyper-pronation has been shown to correlate with many muscle, ligament and joint injuries in the lower limb and even the back, but this correlation seems to be very individualistic. It is good to get some professional advice on this problem to see if it is linked to any persistent musculoskeletal pain you get, although trying some simple contoured insoles such as the Healthystep insole, can give you an indication as to whether your symptoms are linked to Hyper-pronation. If the problem seems just related to your running, try some anti-pronation trainers, but you may also need some arch supportive insoles like the heelfixkit or Healthystep insoles. For more complicated cases you will find an insole adjusted to your needs or a custom insole will serve you best, especially when combined with exercises. Strengthening and stretching appropriate muscles can sometimes resolve your hyper-pronation issue. General exercises, which often help, but you might need some professional advice on this. 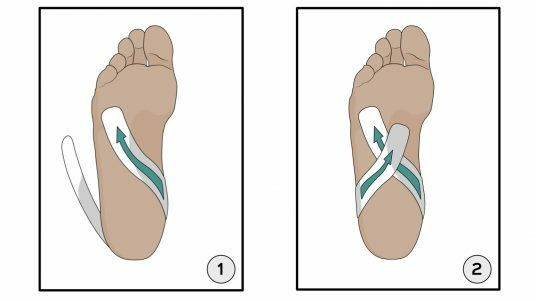 Similarly, pains associated with increased weight bearing activity in the lower limbs and back is often associated with hyper-pronation, so trying a simple insole such as the HeelFixKit and Pressure Perfect insole and the simple exercises here should help. But please note some feet under pronate and that can also cause pain! There are a few simple ways to assess your foot type. The classic way is to stand on a hard floor surface with wet feet to make a wet foot print.. Look at the narrowest part of your footprint, which should be between your heel and ball of your foot. If the print of your foot in this part is less than 10th of the width of the widest part then you are likely to have high arches. If it is more than a 10th but less than a 4th then your foot profile is probably normal. If greater than a 4th or even the widest part, then you have flat feet. However this test doesn’t tell you what type you have. Collapsing Pes Plano Valgus is usually associated with a lot of pain. This pain is most common on the inside of the ankle, the inside of the arch of the foot and sometimes in front of the ankle to the outside of the foot. This is a serious condition, and you may notice that your foot starts to change shape. If you are getting pains as described especially if you notice your feet getting flat, seek professional advice immediately. Hyper mobile feet are usually identified because you are very mobile elsewhere. Usually it’s noticed in the hands or wrists first because you can bend your fingers back too far or your wrist. Elbows ands knees often over-extend. There are often other family members with the same condition. Unfortunately although not everyone with hyper mobility gets joint pains a significant number are plagued with multiple joint pains and feet are often affected. Hyper mobile feet usually look normal non-weight bearing, but on weight bearing they become very flat. Also the plantar surfaces of the feet can be brought totally together, as if you are praying with your feet. The most common type of foot flattening is associated with too much pronation. As mention pronation consists of the foot rolling in on the heel, the arch dropping and the forefoot spreading out. Most people who have too much of these movements will have normal shaped feet when not weight bearing. However people with anatomical flat feet can also pronate too much. Their flat feet become flatter on standing. People who pronate too much, can in later life develop acquired flat feet, while over strain of some tendons can be caused by excess pronation, resulting in flattening feet. To confuse the situation, some people only pronate too much during certain periods of walking, such as pushing off one foot, or just when they run. The best way to assess this foot type is by elimination. If you don’t fit the other foot types then most likely your flat feet are due to excess pronation. The term “flat feet” is not very revealing. It is always worth finding out what type of flat feet you have. Some are not a problem at all, but some are a serious problem! Others are very easily treated; some cannot be changed despite treatment. If you are in doubt or concerned please seek professional advice.